Each battery features 1000mAh to give you extended power and the included charger allows you to charge 2pcs SJ4000 battery at the same time. All items are fully compatible with original camera and power accessories and come with a 2-year manufacturer warranty. 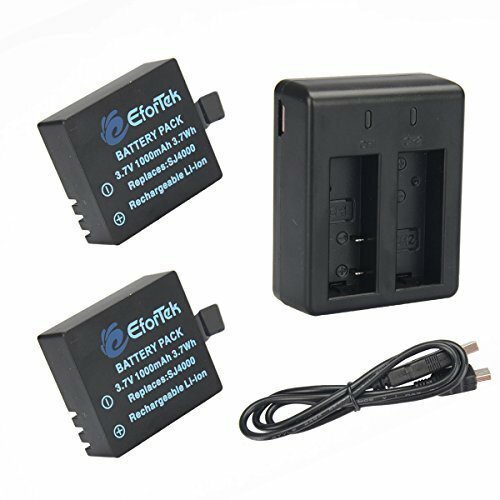 Note: This battery can not work for GEEKPRO EOV1 4K HD. If you have any questions about this product by EforTek, contact us by completing and submitting the form below. If you are looking for a specif part number, please include it with your message.